"Group Show: heryl Brooks, Carlos Meijide, Rita Duffy, Peter Murphy, Igor Tishen, Jennifer Trouton, Martin Wedge and Andrei Zadorine"
In a showcase of the best works from a selection of their artists from 2005 - Spectrum Fine Art is proud to present a new group show of eight internationally renowned fine art practitioners from 21st December - 31st January, with a private view on 5th January. Featuring over 25 works, this �Salon� type show features Cheryl Brooks, Carlos Meijide, Rita Duffy, Peter Murphy, Igor Tishen, Jennifer Trouton, Martin Wedge and Andrei Zadorine. As well as featuring highlights from the 2005 programme, this group show will give a taster of some of the work coming up in the highly anticipated 2006 season, including works that will be exhibited at the London Art Fair in January. Cheryl Brooks was born in 1961. Cheryl has exhibited widely since completing an MA in European Fine Art. Much of this time was spent in Barcelona. She has had two solo exhibitions there has also acted as a visiting lecturer. The work involved in recreating parts of images of antiquity and blending this with the familiar images of the contemporary results in striking works with a modern yet classical feel. Carlos Meijide was born in Buenos Aires in 1953, and has permanent exhibition in Secretar�a de Cultura de Bariloche (Neuqu�n, Argentina); Centro Cultural Alberto S�nchez. Ayuntamiento de Madrid; Hotel de la Regi�n de Bordeaux; Restaurante de Mar�a. Madrid; Colecci�n privada de Gabriel Jim�nez Inchaurrandieta y Victoria L�fora Bastos, responsables en la creaci�n de la Fundaci�n �Antonio T�pies�. One of Northern Ireland's most celebrated artists, Rita Duffy has concentrated primarily on the figurative/narrative tradition. Her art is often autobiographical, including themes and images of Irish identity, history and politics. Born in Belfast in 1959, Duffy grew up in South Belfast. She received her BA at the Art and Design Centre and then her MA at the University of Ulster. Peter Murphy was born in Leeds in 1959, educated at Jacob Kramer College of Art and the University of East London, Murphy trained with noted iconographer Guillem Ramos Poqui in London in the 1980s. He has been painting for church and private patrons ever since. He is a gifted lecturer and has tutored painting workshops in the UK and Greece. An undisputed leader in his field, Igor Tishin's art is hard to ignore. He does not compromise in his quest for expression, moving effortlessly between painting drawing and installation. Primarily concerned with the effects of Soviet society, both past and present, in his native Belarus, he interprets his thoughts and feelings with a rare individuality and total unpredictability. Igor Tishin was born in 1958 in Vasilpolye, a little village in the region of Gomel in Belarus. Knowing early on that he wanted to be an artist, he was instructed from a young age in the techniques of drawing and painting. In 1981 he went to the Art Academy in Minsk, where he stayed for more than ten years, first as a student and then as a teacher. He now lives and works in Belgium. Tishin has exhibited widely throughout Europe and the United States. His work is housed in the Belarussian State Museum and other public and private collections. He is widely regarded as one of the most important contemporary artists from Belarus. Belfast based artist Jennifer Trouton has been exhibiting her work nationally and internationally since graduating with Honours in Fine Art in 1996. Her work has received continued support from the Arts Council with her most recent awards being a funded residency at the Banff Centre of Arts in Banff Canada and a materials grant for the production of her new body of work. 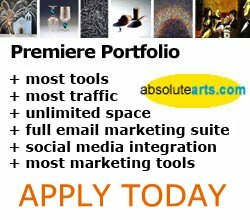 Previous awards include a 3 month residency at the 18th Street Art Cmplex in Santa Monica USA with a solo show in the Los Angeles Biennial, the COE (Clare Morris Open Exhibition, Ireland) Adjudicators� Award and the Belfast youmg contempories award. Trouton�s work is held in numerous public collections including the Arts Council of Northern Ireland, The University of Ulster and British Midland Airlines. She has recently completed a specially commissioned series of oils for the permenant collection of ESB, the Republic of Ireland�s national utilities company. Jennifer Trouton currently serves as Chair on the board of directors for Belfast�s long established and respected Queen Street Sudios where she is completing her next body of work. Martin Wedge was born in Belfast in 1958. Andrei Zadorine was born in the rural village of Beryovka in the province of Perm in the Russian Ural Mountains. He graduated from the Free Painting Department at the Belorussian State Academy for Theatre and Fine Arts in 1984. He studied in the Creative Workshops of the Belorussian Academy for Fine Arts in Minsk from 1987 to 1990. As an artist, Andrei Zadorine is very much inspired by his memories of childhood in Eastern Europe, and his paintings are sought after for their emotional and psychological content. His work exudes atmosphere and what has been described as a 'sweet melancholia'. Spectrum London has been encouraging and supporting exciting British and International contemporary artists since its beginning. From the outset, the galleries directors believed that neither artists nor art lovers needed just another gallery. What was needed was an environment that not only encouraged artists to explore and develop their natural talents, but most importantly, one that supported them in this process.